Montane, subalpine. 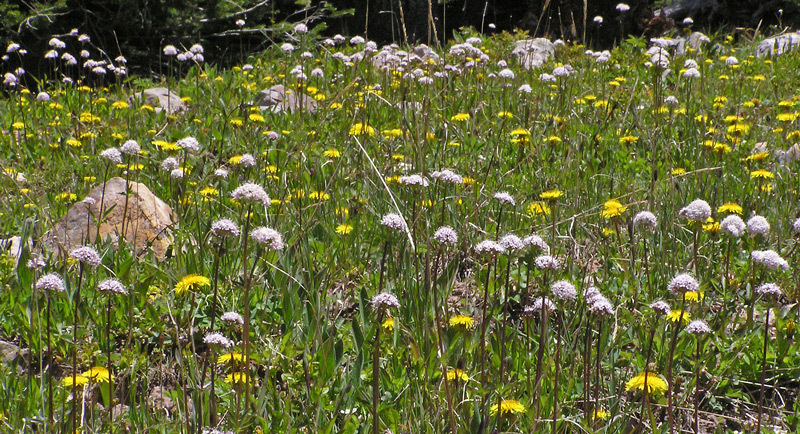 Meadows, openings. Summer. 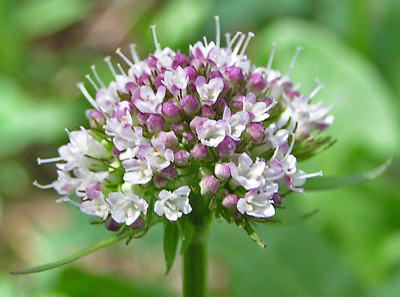 Valerian is a slim, tall plant with a very conspicuous white-to-purple flower cluster balanced perfectly above its stem. 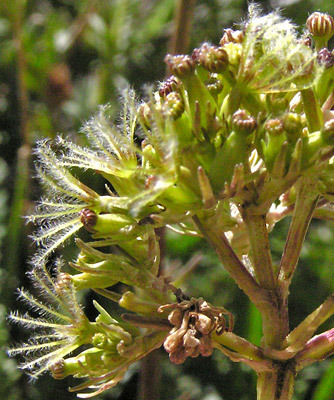 Opposite leaves appear only once or twice along the stem. 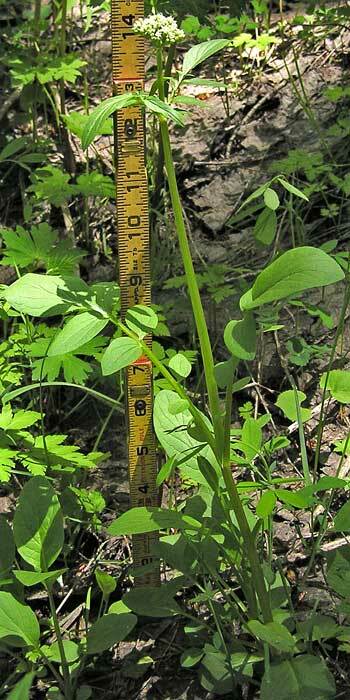 Valerian is a common early summer flower and often is thickly scattered over small forest openings and meadows. 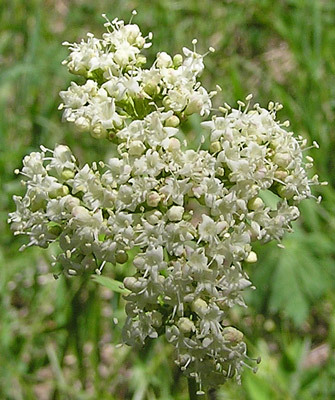 "Valerian" refers either to a Roman Emperor or (more probably) to the Latin word for strength, "valere", referring to the belief in Valerian’s potency as a nerve tonic and relaxant. "Capitata" (as in "decapitate") refers to the rounded "head-shaped" flower. 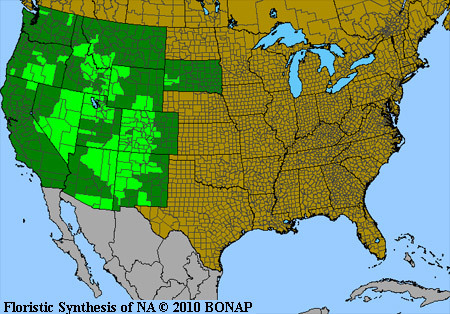 Linnaeus named this genus in 1753 and Rydberg collected the first of this species in the Sangre de Cristo Mountains of Eastern Colorado around 1900 and named the plant Valeriana acutiloba. 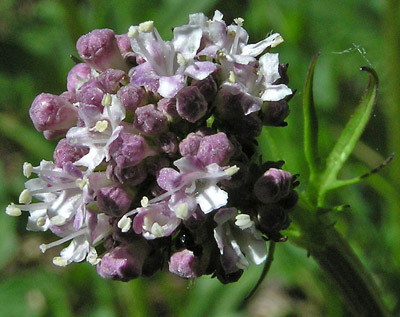 Frederick Meyer renamed the plant Valeriana capitata in 1951. 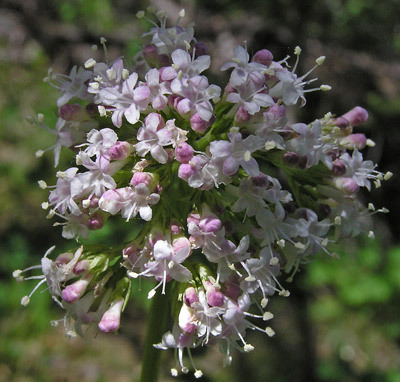 Flower heads begin somewhat pancake flattened and pink and gradually open to a half sphere and white. then the few remaining show their form. Sharkstooth Trail, June 14, 2006. 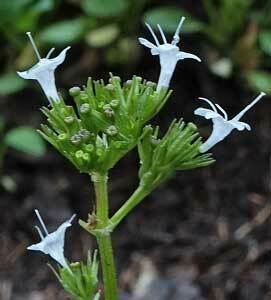 These feathery-looking seed-heads are the elongated flower styles and are very similar to those of Valeriana edulis.